Consumers reviewed ads from 22 brands and retailers, scoring each on 12 factors that are proven to motivate people to buy, and build a strong brand in the long term. The research team also carried out facial coding, which analyses people’s facial expressions as they watch to get a true emotional response. Iceland’s controversial ad was best-received overall. It performed well across the board, with consumers scoring it top on 10 of the 12 factors, including ‘Involvement’, ‘Brand Love’, ‘Enjoyment’, ‘Persuasion’, ‘Relevant’ and ‘Different from others’. The retailer has used Christmas to communicate a powerful message, wrapped up in a story that’s beautifully told. The reworked Greenpeace ad successfully taps into the spirit of 2018 by choosing to talk about wider societal and environmental issues. The effectiveness of the ad – which has been viewed more than 30 million times online – shows it’s possible to make a huge impact without spending on a TV campaign, if you have an emotionally compelling story that creates ‘buzz’ in the media. Impressively, Iceland also saw a large 29 point improvement in Offline Influence (the degree to which consumer influencers are talking about it offline). M&S Food’s Discover your M&S Xmas Favourite also hit the spot with consumers, scoring highly across all measures. It is both engaging and persuasive, which is a winning combination. The ad is more commercial in style than previous years – the products are the heroes – but it still engages viewers thanks to weaving in a strong ‘people’ story that consumers can really identify with: choosing your Christmas faves. While John Lewis’s The Boy and the Piano scored fairly well in ‘Enjoyment’, ‘Involvement’ and ‘Brand Love’, consumers feel that the ad lacks relevance and credibility, and facial coding indicated that it failed to capture the feelgood factor of previous John Lewis spots. Sainsbury’s The Big Night also performed highly on ‘Enjoyment’ and ‘Brand Love’, but from consumers’ perspective it did not feel credible or have a strong enough link to what the brand does. 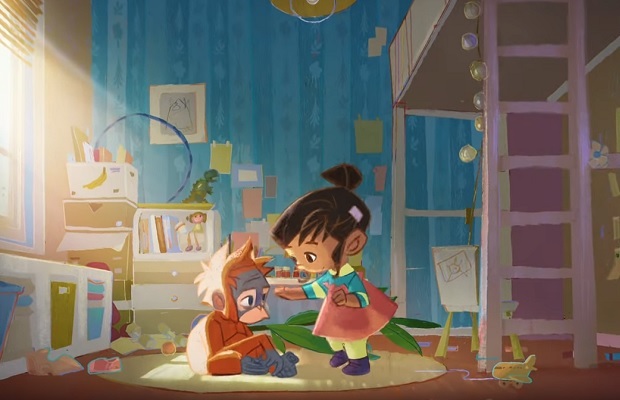 The smaller-scale, more relatable stories won through over the epic blockbusters this year, with M&S, Morrisons, Tesco, Boots and Amazon performing better than John Lewis, Sainsbury’s and Very. While the ‘big’ ads tell fabulous stories, they are not always relevant in the eyes of consumers. Viewers responded best to simpler, more traditional ideas and ‘real’ scenarios, with families enjoying meals together and giving meaningful gifts – which we see in Boots’ Gifts that Get Them. They scored these ads higher than those which present a ‘fantasy’ Christmas, or which communicate a grand message, such as ‘the perfect gift can change a life’ as related by John Lewis and Very.